Young animals, just like children, are at risk from many infectious diseases. In many cases there is no treatment for these and young puppies or kittens that catch them often die. Protection against these deadly diseases can be provided by vaccination. To keep your pet fit and healthy make sure they complete an initial course of vaccinations and receive regular booster jabs. At Stanhope Park Veterinary Hospital we offer vaccinations for dogs, cats, rabbits and ferrets. We use the Intervet range of vaccines. These are licensed for puppies to be injected at 8 weeks and 10 weeks, with a final Leptospirosis vaccine at 12 weeks. Your puppy can therefore be out walking, and more importantly, socialising at 11.5 weeks, providing you are careful to keep him away from Leptospirosis “at-risk” areas such as standing and slow-moving water. This range has a three year booster cycle, which limits the risk of over-vaccinating. We are now also offering vaccine titre testing for dogs. This is a simple blood test that tests the dog’s antibody levels for Distemper, Parvovirus and Hepatitis, and can help with decision making in giving a further vaccination. The dog will still need an annual Leptospirosis vaccination regardless, as there is no antibody level test available for this disease. For further information please visit the VacciCheck Facebook page. We also offer kennel cough vaccinations for dogs. Unfortunately we still see occasional cases of Parvovirus and Leptospirosis in unvaccinated dogs. These can be life-threatening. Again, we use the Intervet range of vaccines. We offer the choice of just Cat ‘Flu and Enteritis vaccination, or a complete vaccine that also covers Feline Leukaemia Virus. This range also has a three year booster cycle for the panleukopenia component, limiting the risk of over-vaccinating. Sadly we still see many cases of all these viruses in the unvaccinated population. Please ask your veterinary surgeon for advice. 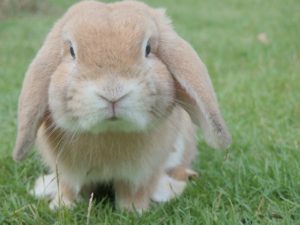 Rabbits can be vaccinated against myxomatosis and Rabbit Haemorrhagic Disease. We see far too many cases of myxomatosis, which is invariably fatal. Rabbit Haemorrhagic Disease is rapidly fatal in rabbits, so we tend not to see these cases, possibly because this leads to very sudden death. We are now using the new Myxo-RHD vaccine. This vaccine was launched in March 2012 and is the first myxomatosis vaccine that has been manufactured using rabbit myxomatosis. The vaccine gives full protection for a year and means that your rabbit only needs one vaccine a year instead of the three previously given. In 2016 Rabbit Haemorrhagic Disease 2 (RHD2), made headlines after a rapid increase in deaths in pet rabbits. This viral disease is a mutated form of the original Rabbit Haemorrhagic Disease which has been seen in rabbits since 1984. While this strain of the disease currently kills less rabbits than the original, it has very few symptoms and sudden death is common. Filavac is a German vaccine which we are now able to order easily, directly from our wholesaler to ensure we can do our best to protect your rabbits from the new strain of RHD2. It needs to be given every year, or 6 monthly in places at high risk such as rabbit rescue or breeding centres, and needs to be given 2 weeks before or after the current vaccine for RHD1 and myxomatosis. The combined vaccine for RHD1 and myxomatosis does NOT cover the new second strain of RHD2, and it is therefore essential to get both vaccines to fully protect your rabbits. For more information on vaccinations, or to book an appointment with a member of our veterinary team, please call 01325 380111 or email Stanhope Park Veterinary Hospital at info@stanhope-vet.co.uk.